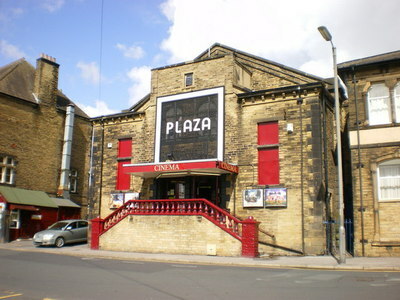 Known to the locals as 'Plaza', Skiptons film house is the only remaining of an original four. Showing a pick of the latest films, and having average, affordable prices, it is a great and simple night out. It is claimed that a Conn 651 organ has been installed, allowing regular organ recitals to take place, relating back to the old style entertainment the film house once offered. Keeping this slight vintage style and steering away from the modern day decorations; so often seen in cinemas centred in a city, pull man seats in a deep velvet red with fixed arm rests set out in stalls keep this effect going. Films and organ recitals are not the only thing offered by 'Plaza', a film rental service has free membership and over 2000 titles in stock, at low rental prices. Keeping the simple and traditional touch to the film house there is only one screen, keeping the queuing civilised and less confusing. Opened as 'The Gem' in 1912 the cinema has had three owners and to ones knowledge remains in the ownership of Mr Charles Morris. Skipton's Cinema is a great night out and a great escape from the rain when it comes and when it does, what is better than one of the latest films and some sweet; or salty if you'd rather, popcorn.